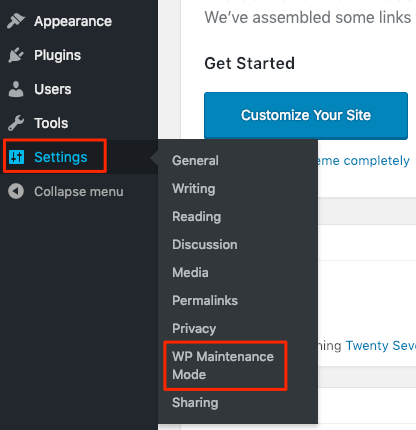 You can activate maintenance mode on your WordPress website using the WP Maintenance Mode plugin. 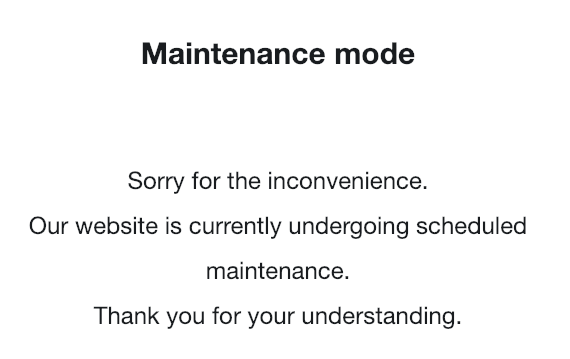 This plugin allows you to add a customizable maintenance page that lets visitors know your website/blog is down for maintenance. Only registered users with sufficient privileges will be able to interact with the WordPress application while maintenance mode is activate. TIP: It’s recommended to activate maintenance mode when performing administrative operations such as upgrades or backup/restore tasks. Install the “WP Maintenance Mode” plugin. Refer to the plugin installation page for detailed instructions. Browse to the “Plugins” menu page and select the “WP Maintenance Mode” plugin. Activate the plugin by clicking the “Activate” link. Browse to the “Settings -> WP Maintenance Mode” page. In the “General Settings” section, switch the “Status” to “Activated”. Click the “Save Settings” button. In the “General Settings” section, switch the “Status” to “Deactivated”. 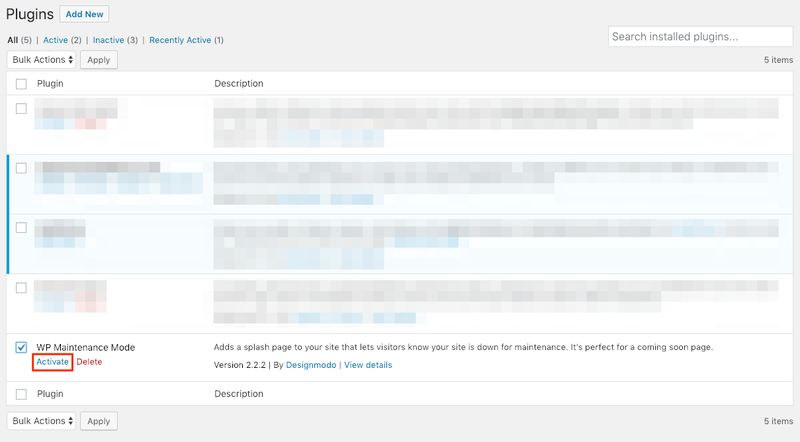 Maintenance mode will now be deactivated on your WordPress site.